HOCKING RIVER GETAWAY--Ohio River, Cottages, Cabins, waterfront retreats !! 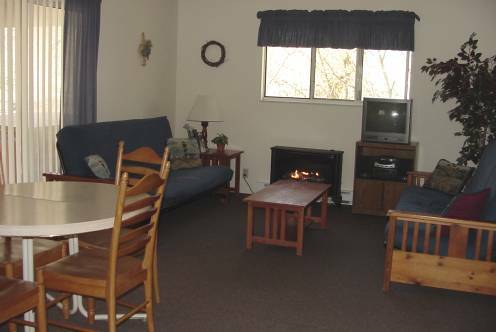 The Hocking River Getaway located in Frost, Ohio provides a beautiful waterfront getaway. 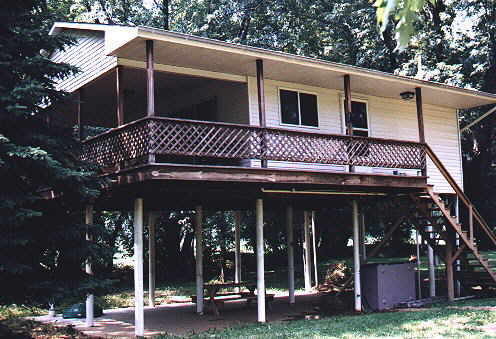 The Ohio cottage is situated along the Hocking River which offers plenty of fishing. The cottage is also within a short drive of the Ohio River which offers plenty of swimming, jet skiing, and boating. 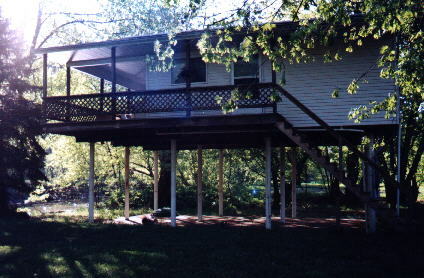 The Ohio cottage has a large deck overlooking the Hocking River. The cottage is close to prime hunting grounds along with many great golf courses located within a short driving distance. A pit area is also located on the property for those late night camp fires. The cottage is close to all of the following attractions which include Blennerhassett Island, Oil & Gas Museum, Loyd Middleton Dolls, Lee Middleton Original Dolls, Fenton Art Glass, Point Of View Restaurant, Hocking Valley Scenic Railway, Stahl's Christmas Shop, Hocking Hills, Smoot Theatre, Actors Guild of Parkersburg, Ruble's Sternwheelers, Valley Gem Sternwheeler, Showboat Becky Thatcher, and Parkersburg, West Virginia. The Ohio cottage's kitchen offers a dorm size refrigerator, electric range, microwave, toaster, coffee maker, and dinnerware. It has a full bathroom with a shower. In the living room a television for video reception and VCR ads to your enjoyment. A gas fireplace in the living room will make for a romantic evening. The Ohio cottage will accommodate up to 6 people. A charcoal grill and furniture on the deck provides for beautiful cookouts overlooking the Hocking River. 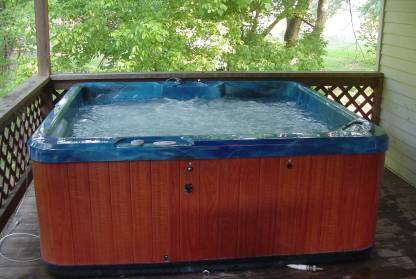 A 5 person hot tub is also on the deck for relaxing. BE SURE TO BOOK WELL IN ADVANCE ! !